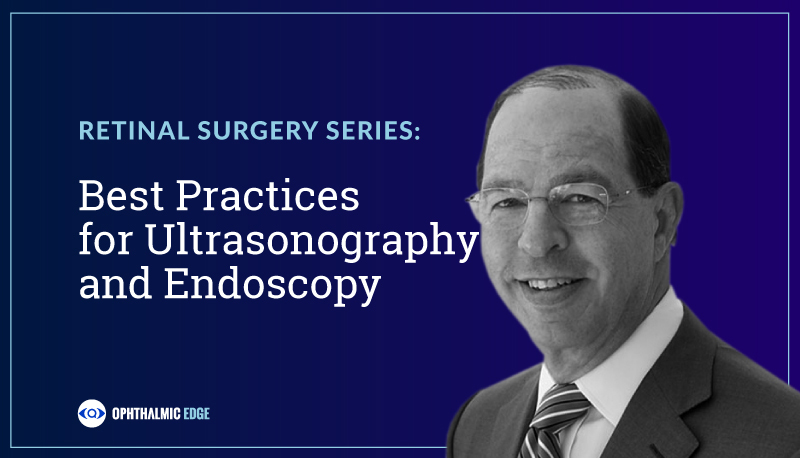 In our past month’s blog series featuring best highlights from Dr. Yale Fisher’s interview on Straight From the Cutter’s Mouth: A Retina Podcast, Dr. Fisher discusses a variety of tips for learning and utilizing ultrasonography as a retinal specialist, in addition to applications of endoscopy for retinal surgery. Below is a roundup of all the featured posts. Finding this series of best practices and tips for retinal surgery helpful? Let us know in the comments! Next Post Why Is “Real Time” So Important To Diagnostic B-Scan Ultrasonography? It Isn’t – It’s CRITICAL!